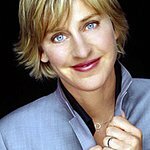 Ellen DeGeneres has given her support to a teenage lesbian caught up in a scandal at her school in Mississippi. Constance McMillen is at the centre of a controversy following her decision to take her lesbian girlfriend to the Itawamba County School District prom. The school barred McMillan from attending, and eventually cancelled the prom amid a public backlash. The Civil Liberties Union are now taking the school board to court over their decision. Lesbian activist and talkshow host Ellen DeGeneres handed McMillan a $30,000 scholarship during her show on Friday, March 19. Degeneres applauded McMillan’s decision to speak out about the incident: "It’s always easy to be quiet, especially when you know somebody might tell you ‘no’ or it’s going to cause a scene. The donation came from Tonic.com.